Create powerful investor reports. Manage & share your business documents. Choose the platform enabling digital investor relations for more than 3000 users. All your data for investor relations in one place: KPIs, Reports, CapTable & DD. Start your journey now for FREE! All investment documents and reports in one place allowing a time-efficient management of your portfolio. The simplest way to manage your portfolio. Collect reports, create LP-reportings or support your company with fundraising! More than 1000 investors trust us with their portfolio. Investory.io helps Startups & Investors to manage reporting & communication. 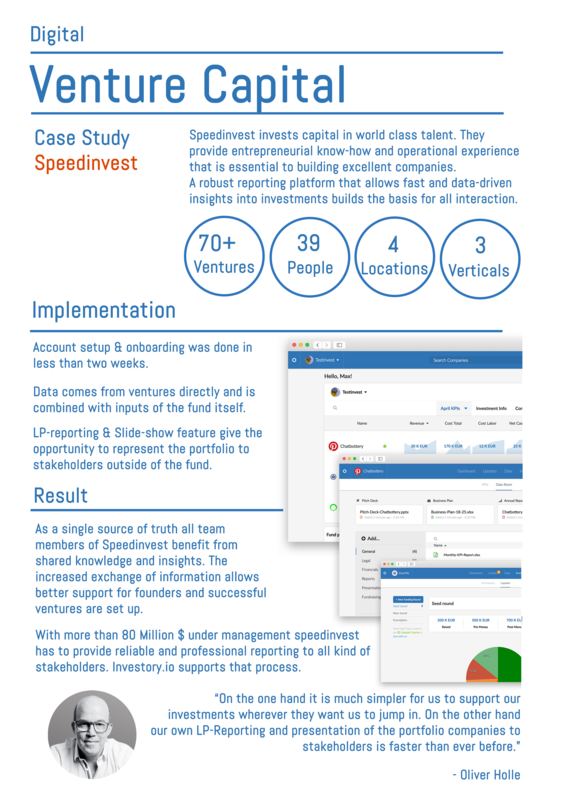 Case study on data room usage for due diligence before an investment round. 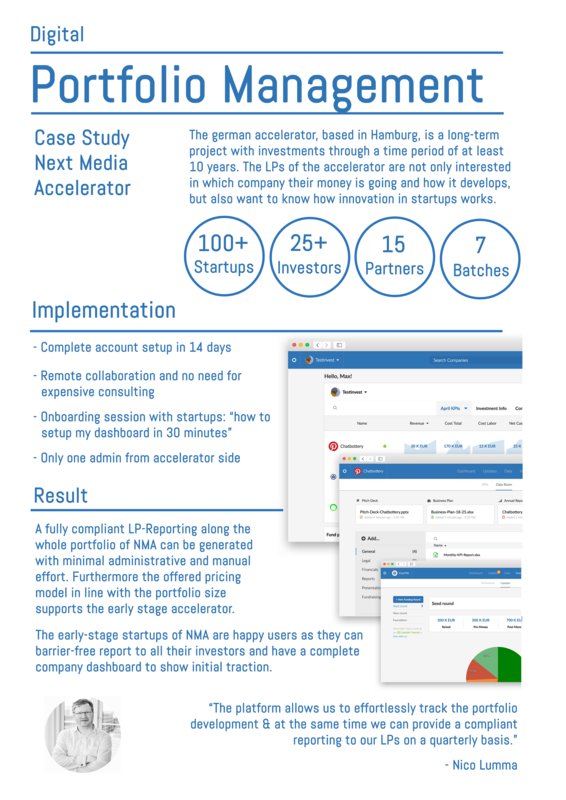 Data-driven mentoring for portfolio companies in strategic questions and fundraising par excellence. A portfolio with overall with more than 60 companies needs professional managment. Learn how investory supports that. Join more than 3000 users that are already on-board.